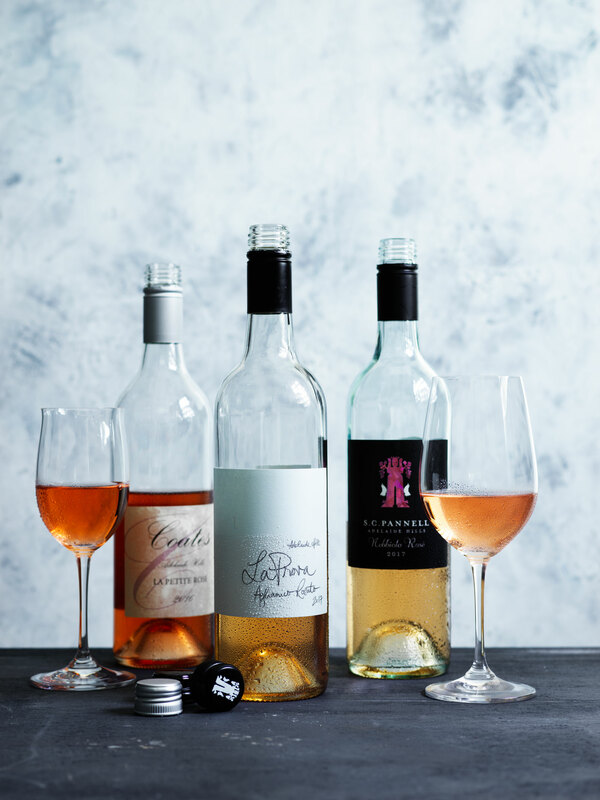 GT WINE's expert panel have pitted Australia against France to determine the best rosés for you to sip on as the weather warms up. There has been a rosé revolution, a revolution that has taken place almost everywhere it’s sold. The principal reasons seem to be the rise in more casual dining in restaurants and rosé’s flexibility. A delicious rosé will stop any arguments around the table on whether to choose white or red. The curious thing is why it took so long to emerge from obscurity. I suspect that in Australia the answer is twofold. The first lies in the succeeding white and then red wine booms in the 1970s and 80s, followed by the demand for red grapes for the burgeoning export market. 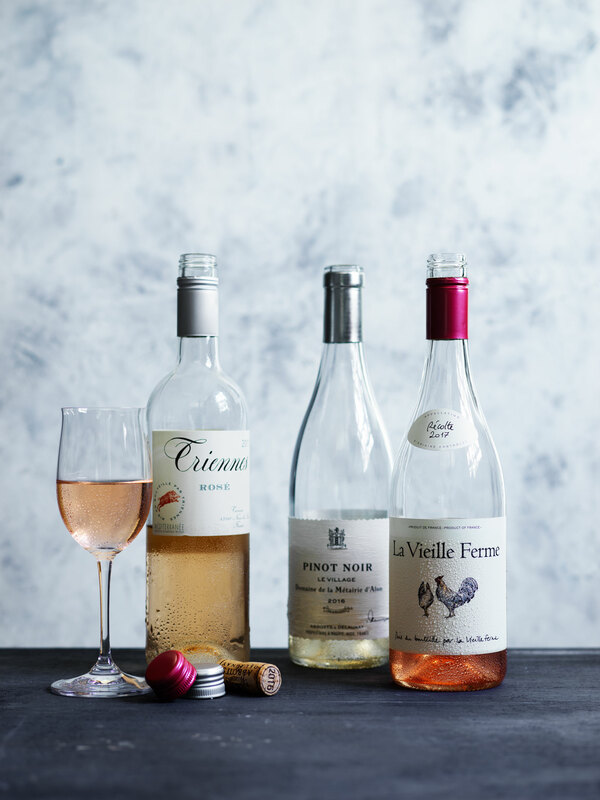 Rosé was no longer front-of-mind for either winemaker or drinker. 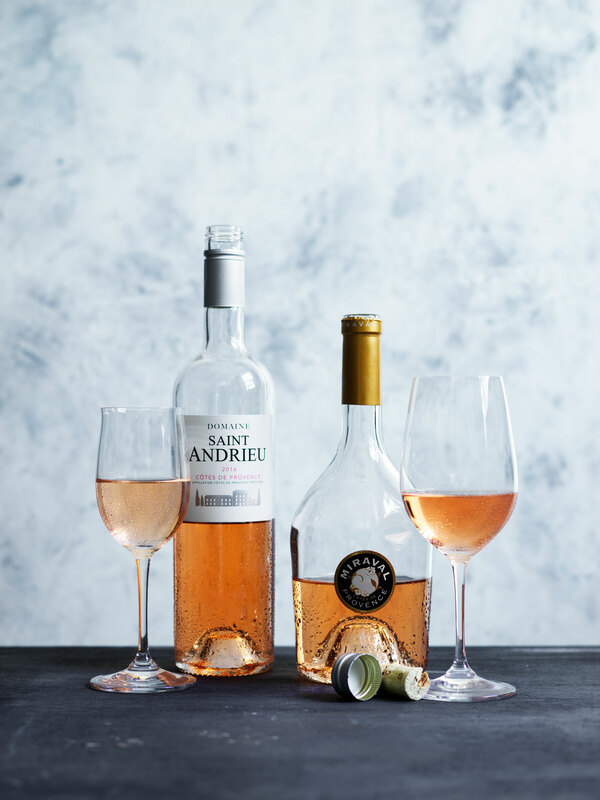 The second is that rosé was often an afterthought for winemakers (if they made one at all) either using lower quality grapes or cobbling something together by colouring up a white wine with a bit of red. Not much changed until the recent growth of imported rosé. There are two methods for making rosé. The first is by brief contact between the skins and juice in crushed red grapes before pressing separates the two. The second is simply blending a small amount of red wine into white. Only around 5% or 20% at the most, is needed. As you’d expect, the results in both flavour and balance are quite different. Winemakers therefore use skin contact for wines that are to show real distinction. A version of the skin contact method, saignée, is to bleed off a portion of pink juice very early in a red wine fermentation, this being fermented separately. This can produce high-quality rosé, but its success is limited by the fact that the ripeness levels desired for red and rosé are not often the same. 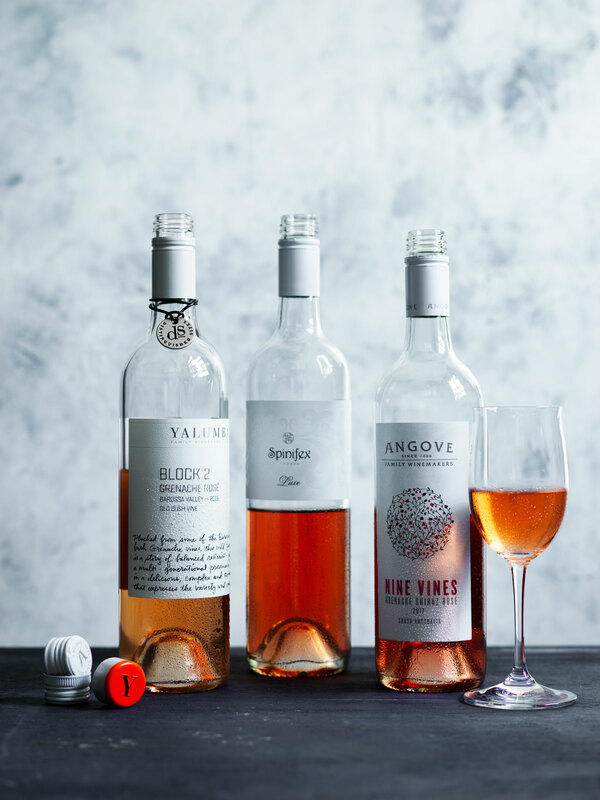 In Australia, rosé can be produced by either method, but the best rosés are now made as dedicated wines from selected, high-quality grapes. The blend method is not legal in France or elsewhere in Europe, at least for controlled wines. The exception is Champagne, where making rosé by only skin contact is notoriously difficult. Rosé is almost invariably made from the premium red varieties in a region; thus cabernet franc in Anjou, shiraz and grenache in the Rhône and almost any combination of shiraz, grenache, cinsault and mourvèdre in Provence and Languedoc Roussillon. The last grape assumes greater importance in Bandol. In Australia, shiraz has been in widespread use, but the variety/region link is now stronger with pinot noir the most common in cooler regions like Yarra Valley and Italian grapes prominent in King Valley. We thought concentrating on wines from Australia and France would be highly instructive, to the panel as well as the reader. For greatest interest, and to keep numbers to an acceptable level, we restricted the French wines to the south of France, principally Provence and Languedoc, as these are the wines getting the most attention in Australia. We also concentrated on Australian wines that are in general circulation, rather than being made largely for sale through cellar doors. Our regular panellists, writer, speaker and retailer Mike Bennie, writer and educator Peter Bourne, writer and author Huon Hooke, wine judge and writer Toni Paterson MW and me, winemaking consultant Nick Bulleid MW, were joined by sommelier Sophie Otton. We were pleased to find that the overall standard was very good and we selected 33 wines from those with good support for review. There were few disappointing wines, although three mistakes appeared to have made it into bottle and one wine of the eight sealed with natural cork showed the mustiness of TCA. There were several overall differences between the Australian and French wines. The locals generally had more prominent fresh fruit, often with distinct berry flavours, and crisper acidity. We were pleased to find that the use of phenolics (tannins) for texture in rosé is now much better planned and executed. The French wines showed more complexity, savoury overtones and subtler fruit flavours, yet still with intensity. They also tended to be a little higher in alcohol, although few finished hot. While I don’t usually describe colour in these tastings, I’ve included it in our comments below as colour is so often an important clue for wine style and sometimes for freshness. It’s worth remembering that rosé presents a virtual continuum between white and red. I’ll therefore mention two wines not included below. One is 2018 Margan Rose & Bramble, with a vivid purple colour to match its age. Its fresh raspberry flavour and taut acid line, offset by a little sweetness, is a great and delicious example of what’s popular in good cellar doors, particularly those with a restaurant like Margan’s alongside. The second is 2017 Castagna Allegro, which doesn’t describe itself as a rosé (although the description on the sparkling version does). This shows distinct light dry red tendencies with red cherry and savoury flavours and a furry edge to the tannins. Paterson told us, “Gorgeous aromatics… mouth-watering flavours. A different style but lots to like.” Bennie added, “Lightly, chalky, lively palate… serious rosé.” I like them both as different expressions. 2017 Angove Nine Vines Grenache Shiraz Rosé (A$16) has a medium salmon pink colour and shows delicate, fresh red berries on the nose. The palate is beautifully poised, with the merest suggestion of sweetness balanced by acidity. Bennie loved it, too, but saw it differently. “Toasty notes, red cherry and some floral elements,” he wrote. “Spicy, savoury bouquet. Lean and racy to taste with a touch of sour-amaro bitterness (very pleasing) and a lick of clove-nut savouriness. It is quite structured, serious feeling, despite its leaner profile.” Enjoy this as either aperitif or with food. It’s a bargain, too. 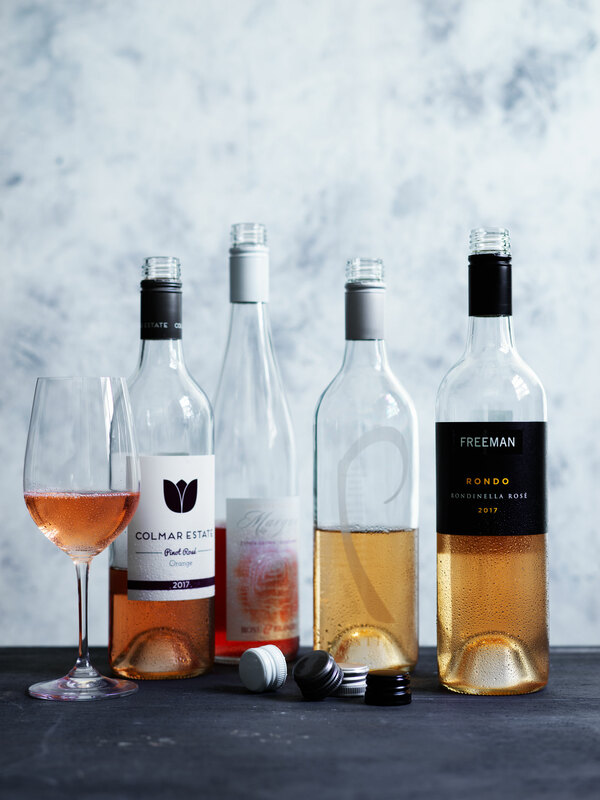 2017 Bream Creek Vineyard Pinot Rosé (A$30) gained top points from Hooke. “The bouquet is very expressive: strawberry, red cherry, raspberry, very aromatic, ripe and alluring,” he said. “Just a hint of fresh herbs, but no greenness. The wine is soft and round, full and pillowy in texture. A touch of well-managed sweetness. A big, soft, full-flavoured style.” I loved it, too, from its deep salmon colour to its rich, sweet fruit that extends with freshness to a long finish. Delicious. 2017 Colmar Estate Pinot Rosé (A$28) found Bourne enthusiastic. “Pale watermelon pink,” he began. “Juicy aromatics of raspberry pastilles, peach and cranberries. The sweet, red fruit flavours are tamed by some incisive phenolics with character and complexity winning the day.” I found an attractive suggestion of green herbs, and the light grip nicely balances the berry flavours. 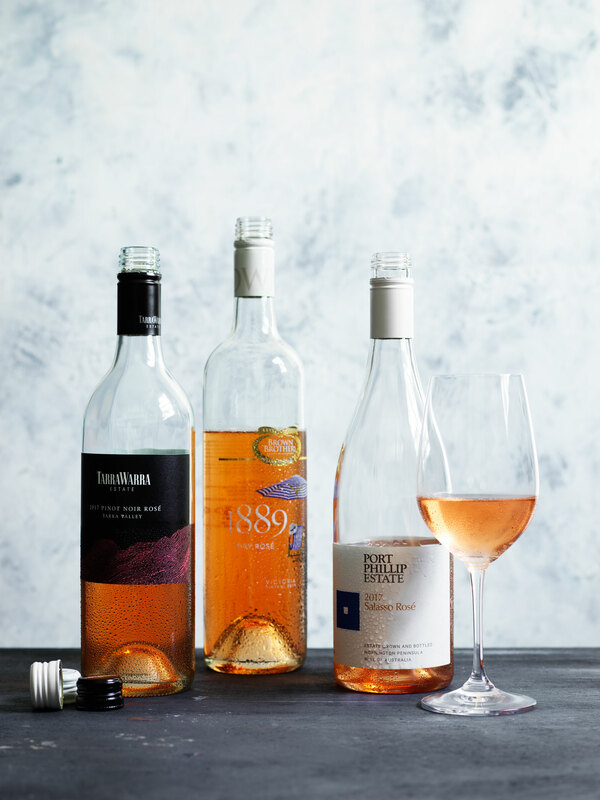 It was the top gold rosé at the 2017 Orange Wine Show. 2016 Crittenden Estate Pinocchio Rosato (A$26) pleased Bennie greatly. “Pale orange-garnet colour,” he noted. “The bouquet shows off a pleasant burned orange peel character with hints of strawberry and clove/old spice cupboard savoury characters. It’s savoury to taste, too, with faint Negroni and some light cranberry fruitiness, but the gist is something left of centre for rosé. It is a fantastic wine.” I liked the way barrel fermentation has added weight and further complexity to the savoury, autumn leaves bouquet. It cries out for food. 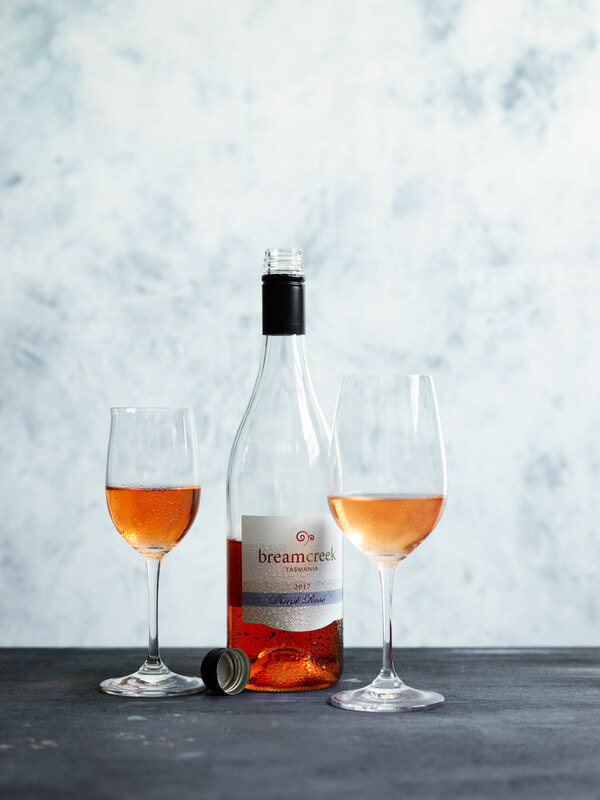 2017 De Bortoli Villages Grenache Rosé (A$22) combines strawberry, stone fruit and savoury characters on the nose, which gains further interest from barrel-fermentation. The palate is nevertheless quite delicate, with balanced texture, and finishes crisp and dry. “Pale pink, salmon hue,” described Otton. “Blossomy white florals. Delicate style with subtle flavours of red cherry, musk and sugared almond. Creamy with fresh, balanced acidity. Soft and succulent to finish.” The wine highlights the brilliance of grenache for rosé. 2017 Freeman Rondo Rondinella Rosé (A$20) shows the expertise of this specialist in Italian grape varieties. “A pale salmon hue in colour,” Otton found. “It has lightly scented, potpourri complexity on the nose. Detailed, almost secondary characters. Raspberry, pomegranate fruits, nuances of dried herbs and candied peel. Long and tangy to finish.” I thought the fruit sweetness and brush of texture created a beautiful balance and drinkability with alcohol providing roundness without heat. 2017 La Prova Aglianico Rosato (A$25) appealed to Bennie. “A sophisticated, understated style,” he found. “Pale salmon colour. Very savoury bouquet set to oatmeal, brown sugar, light clove-cinnamon spice and dried berry scents. Palate has more of the savouriness but a depth of light red berry flavour that would satisfy those seeking more fruit. Fine tannins shape the wine. Aperitif feel.” I went the other way, the savoury flavours and distinct, dry texture prompting me to write “needs food”. 2017 Oakridge Over the Shoulder Rosé (A$23) gained wide approval with Hooke leading the way. “Medium to full salmon pink,” he started. “The bouquet is meaty, savoury, smoky and forest-floor pinot noir-like – more berry-like as it warmed – while the palate has a faint lick of sweetness running up against bright acidity. Raspberry mid-palate and then a clean, dry finish. A fruit-driven style and very well made.” I liked its intensity and the hint of thyme on the nose. Beautifully balanced and delicious. 2017 S.C. Pannell Nebbiolo Rosé (A$35) gained top points from Paterson, “Faint onion skin colour with a rose-gold hue,” she wrote. “Completely gorgeous on the nose with wafting savoury tones plus a hint of lively sherbet. The palate is deliciously open and textural, filling the mouth without overwhelming the palate. The umami element of this wine is strong, making it a satisfying accompaniment to food.” I thought it finished a bit hot, but loved its intense red fruit and complexity. 2017 Spinifex Luxe Rosé (A$32) draws from mataro, grenache and cinsault for its fresh red fruit aroma. “A delicate salmon pink,” Bourne noted. “Strawberry shortcake, Turkish delight and pink peppercorns. The palate is full flavoured, any excess curbed by some well-mannered tannins. Dangerously drinkable.” It beautifully combines sweet and savoury flavours. Its weight and texture makes it well suited to food. 2016 Yalumba Block 2 Grenache Rosé (A$40) also pleased Bourne. “Very pale pink,” he began. “Aromas of fresh cranberry juice and red currant jelly with a touch of almond skin. The flavours are quite savoury with good structure depth and length. A wine of some finesse – quite moreish.” I liked the way its fragrant red fruit aromas are married with the savoury. It will appeal to those who enjoy a taut style of rosé. 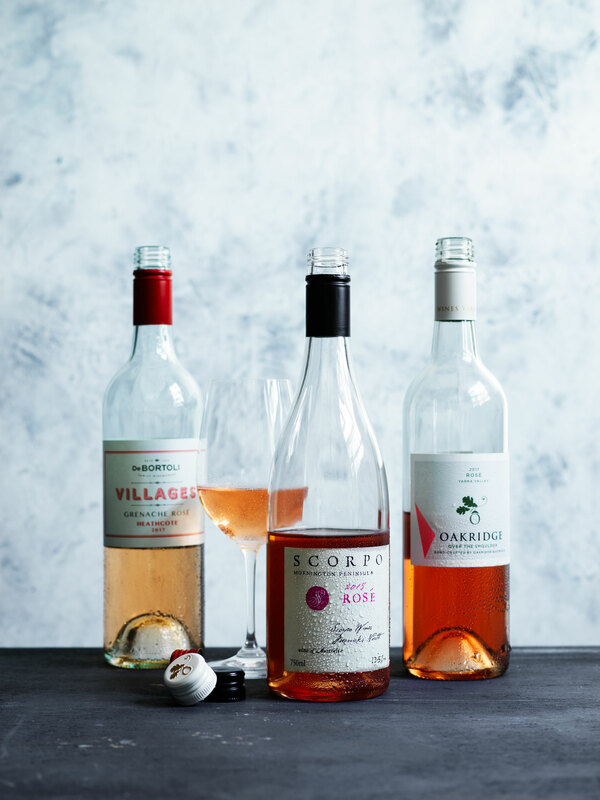 2018 Zonte’s Footstep Scarlet Ladybird Rosé (A$20) is a full, ripe-flavoured rosé with lots of red fruit and a savoury texture. “A full, hot pink colour,” Hooke said. “Clean, fresh raspberry aromas. The palate has flavour, richness, textural interest and length. Sweetness is quite mild, and the finish is clean anddry with a little phenolic grip. A bold style.” Paterson approved, adding, “a touch of herbaceousness”. Itʼs good value, too. 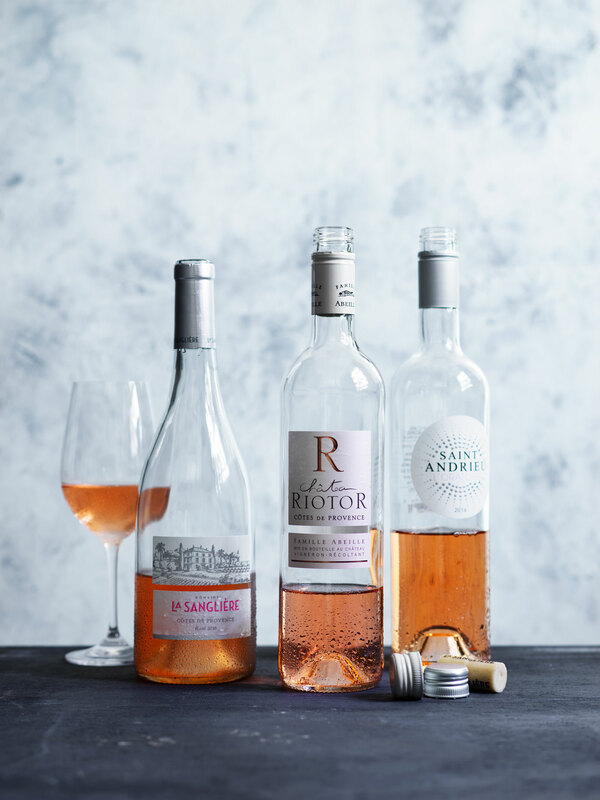 2017 Chateau Riotor Côtes de Provence Rosé (A$28) has a pale pink colour and a fresh, delicate strawberry nose to match. Otton loved it. “Ballerina ribbon sheen in the glass, lovely to look at,” she found. “Pink fruits, hints of orange citrus and light spice on the nose. Delicious creamy texture, core of perfectly ripe strawberry fruit, finishing on a dry, savoury redcurrant note.” The balance of flavours, acidity and texture are excellent and there’s good length. “An exceptional mix of breadth and freshness,” added Paterson. 2016 Abbotts & Delaunay Domaine de la Metairie d’Alon Le Village Pinot Noir Rosé (A$30) is from a high altitude vineyard near Limoux. It has a very pale, almost grey-pink colour with complex fruit characters including delicate red fruits and hints of nectarine and pear. But then, the palate displays more weight than I’d expected, yet still with delicacy and a soft texture. It was one of Bourne’s top wines. “Lifted bouquet of rosewater, strawberry tart and pomegranate juice,” he began. “It’s a buoyant and bright wine with a creamy texture yet finishes fine, savoury and dry.” Intriguing and delicious. 2016 Domaine de La Sanglière (A$40) split the panel somewhat. Bennie and Hooke were strong supporters. “Pale gold-bronze colour,” Bennie wrote. “Faint berry notes, mandarin, some dried citrus peel character, whiffs of almond – a nice start and unusual for rosé, but happy it is there. Quite a lot of flavour – citrus, apple, Parisian almonds. Lots to like, think about, enjoy, be refreshed by. A complex, compelling rosé here that looks detailed, savoury and yet full of life. Delicious.” I thought it should be drunk soon, although liked its intensity and balance. 2016 Domaine Saint Andrieu (A$35) is one of a pair of Côtes de Provence wines we enjoyed from this producer. “A pale pink,” Paterson said. “Strong aromatics in the lemon sphere. Creamy, textural and balanced with baked apple nuances. Slightly spicy. Full-flavoured, soft, bright and satisfying.” I liked the way it combined characteristics that often compete – sweet, strawberry fragrance and a firm, dry, textured palate. There’s good length, too. 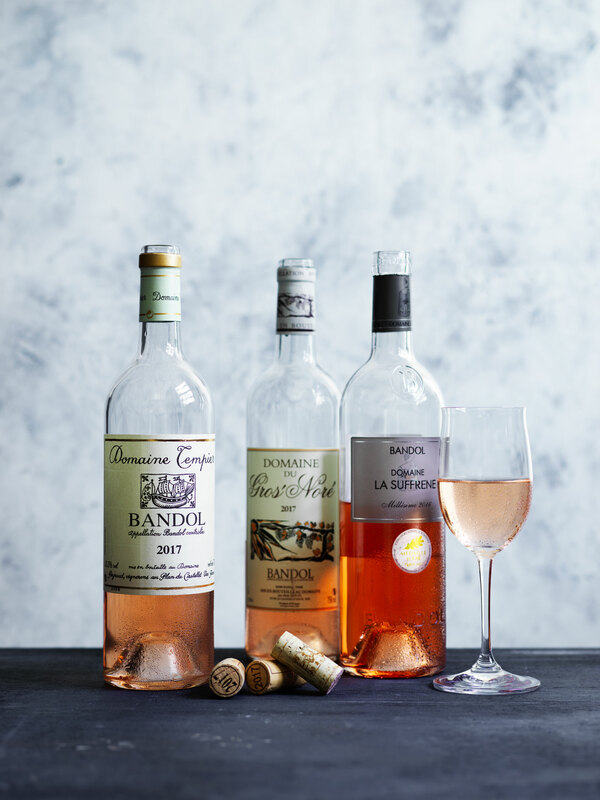 2017 Domaine Tempier Bandol Rosé (A$67) brought uneven points from the panel, but gained strong support from Bourne. “Delicate salmon pink colour,” he wrote. “Aromas of musk, pink marshmallows, peach, guava and spice. The palate is quite savoury with good structure, an enticing texture and a positive finish. Very ‘moreish’. I found attractive hints of red capsicum, but also some grassy, herbal characters. The wine is overall dry and best suited to food. 2016 Domaines Ott By Ott Rosé (A$38) has a perfumed nose of strawberry and rose petals. The palate is well-balanced with nice body from alcohol and good length. “Pale ballet-slipper pink,” Paterson thought. “Beautiful aromatic scents in the red apple and spice sphere. Excellent flavour, poise and length. Clean and bright with good presence and texture.” Freshness, delicacy and drinkability here. 2016 Domaine La Suffrene Bandol Rosé (A$37) hadapproval from Paterson. “A pale salmon pink,” she found. “Aromas of cherry tomatoes and spice with waxy nuances. The palate is full and textural with a pleasing phenolic frame.” I found an intense nose, plenty of red fruit flavours and liked its round, mouth-filling body. This would be good with food or by itself. 2017 La Vieille Ferme Côtes du Ventoux Rosé (A$15) gained top points from Paterson. “A pretty pale pink,” she found. “Gentle yeasty notes on the nose plus some faint redcurrant aromas. The palate is savoury and delicious with excellent freshness and elegance. It’s soft, ethereal and highly agreeable.” My notes showed little to add, other than it’s fresh, nicely balanced and finishes dry. Great value here, too. Look for the chooks. 2016 Le Rosé du Vallon des Bousquets (A$32) has a pale salmon/onion skin colour and walks a fine tightrope, combining complex, savoury flavours with delicacy. “Jasmine- and honeysuckle-scented,” Otton found. “Sappy, cranberry freshness with notes of cinnamon, brown spice and orange bitters. Savoury and dry with a saline twist to finish.” This is another success from the family that brings you Domaine Ott. 2017 Triennes Rosé (A$25) is a wine that starts with an advantage – having Aubert Villaine of the Domaine de la Romanée Conti and Jacques Seysses of Domaine Dujac in its three owners. It starts with a perfumed nose of strawberry and savoury overtones, moving to a round, well balanced palate with a crisp line of acidity. “Pale rose-petal colour,” Bourne added. “Musk, sugared almond and quince lead the nose with some sweet spice. Delicate confection-like palate with good textural interest.” Good value, too. ‍Disclaimer: Nick Bulleid is a shareholder in Brokenwood. All comments on the Brokenwood wine above are from other members of the panel.